France , Calais, camp for refugees known as 'The Jungle'. September 21st 2015. 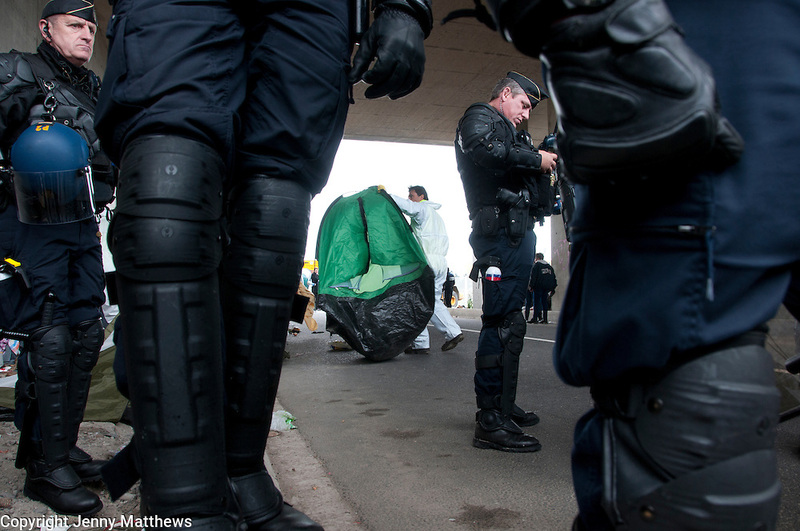 French police oversee the removal of the tents and belongings in them, from under the flyover at the edge of the camp.